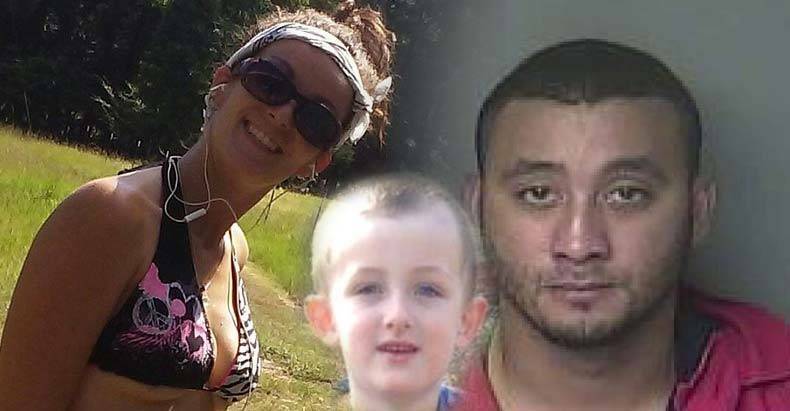 Marksville, LA — More information is coming to light about the two Marksville City Marshals, who ruthlessly shot to death a 6-year-old boy as he was buckled into the back seat of a vehicle. Officers Derrick Stafford and Norris Greenhouse, Jr. are currently being held, each with a $1 million bail for the murder of Jeremy Mardis and the attempted murder of his father, Chris Few. After it was revealed that the officers had fabricated a story about Chris Few having an outstanding warrant and being armed, the family is left wondering why in the world he was stopped in the first place. Couple their lies with the fact that Few’s attorney said he had his hands up during the stop, and a dark and ominous scenario begins to unfold. Until now, there was still no logical reason for the stop, leaving everyone wondering why these officers went after Few at all. However, all that changed when Few’s fiancée came forward about her relationship to one of the murdering cops, Norris Greenhouse, Jr. According to the Advocate, Megan Dixon, Few’s fiancée, said this weekend that Few had a previous run-in with Greenhouse. A former high school classmate of Dixon, Greenhouse had started messaging her on Facebook and had come by the house Few and Dixon were sharing at the time. “I told Chris, and Chris confronted him about it and told him, ‘Next time you come to my house I’m going to hurt you,’ ” Dixon said. Now that we know Few told Greenhouse to leave his fiancée alone, we can establish an alleged motive for the stop. Could it be that Greenhouse and the three other officers involved in the stop were abusing their authority to harass a man for being protective of his fiancée? We’ve certainly seen far worse reasons for police officers to pull people over. However, this time, an officer’s alleged abuse of power ended with the death of an innocent child. On Monday, Jeremy Mardis was laid to rest in Mississippi. As members of his family watched the tiny casket get lowered into the ground, their hearts were heavy with grief. This grief, while incredibly real and horrendous, could have also been prevented. Greenhouse and Stafford had an atrocious history that should have ended their careers in law enforcement far before they were able to murder a child. But they were not fired. Instead, their issues were ‘resolved’ and they were allowed to continue their tyranny. The fault for the death of Jeremy Mardis does not end with Greenhouse and Stafford. Everyone who’s been complicit in allowing these proven violent and rapacious maniacs to keep their badges is culpable of aiding and abetting murderers.